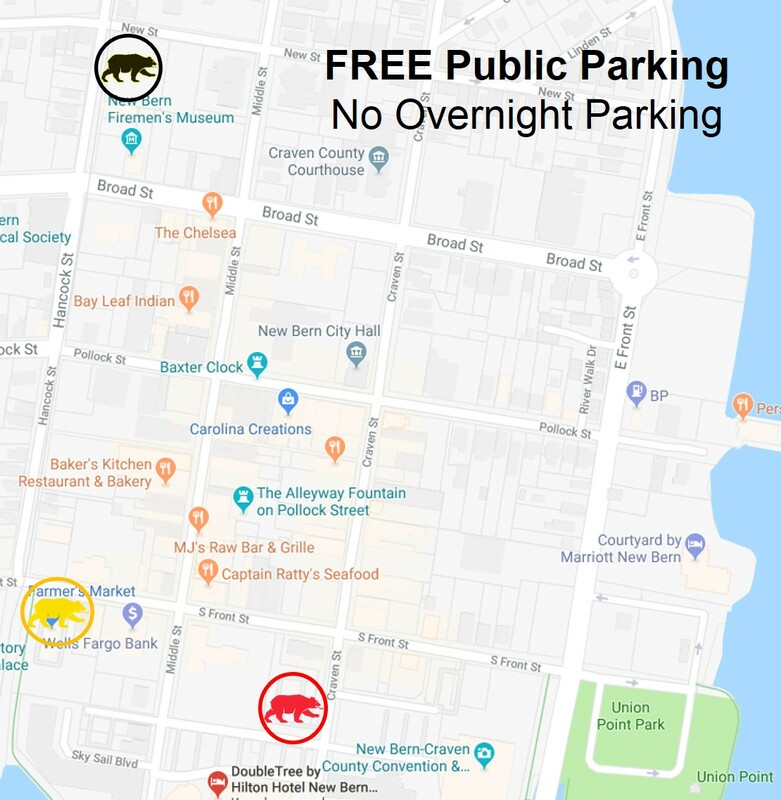 Most of downtown's on-street parking is 2-hours and FREE! 2-hour parking is Monday through Friday 8 am - 4 pm. If you want to spend all day in our lovely downtown park in one of our FREE ALL-DAY parking lots conveniently located within 1-2 blocks of our shopping and dining. Look for signs to take you to the Red Bear, Gold Bear or Black Bear lots. 2-hour on-street parking is enforced Monday through Friday, but you can park either on our downtown streets or our conveniently located lots ALL DAY on Saturday and Sunday. With so much to see and do in New Bern you'll definitely want get out, look around, visit our museums, do some shopping, and enjoy our restaurants. Planning to stay a while? The City also offers leased parking. Contact the City of New Bern Business Office at (252) 639-2750 to apply.